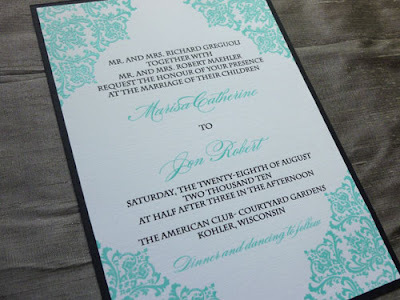 When Marisa contacted me, she was looking for a custom damask design that she could use with pocketfolds she had purchased. 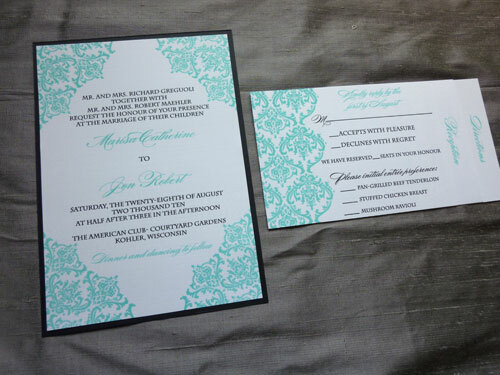 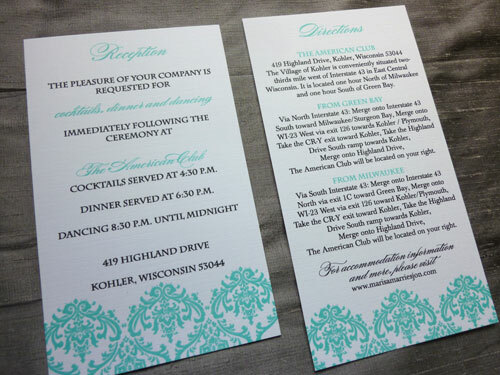 She chose a beautiful Tiffany blue color and black for her colors and had her design thermography printed on white linen stock. If you are planning to use a pocketfold or portfolio, I'm always happy to custom size your invitations based on your needs. 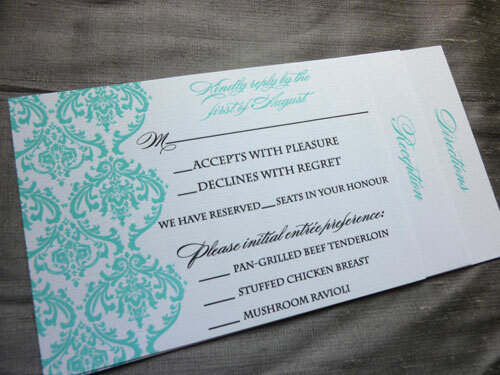 how do i buy invitations like this ?